Parks and Rec has hosted two very memorable wedding ceremonies. First, Andy and April surprised their friends and family with their impromptu nuptials during a housewarming party. The pair had only been together a few months, but they were a very compatible match. 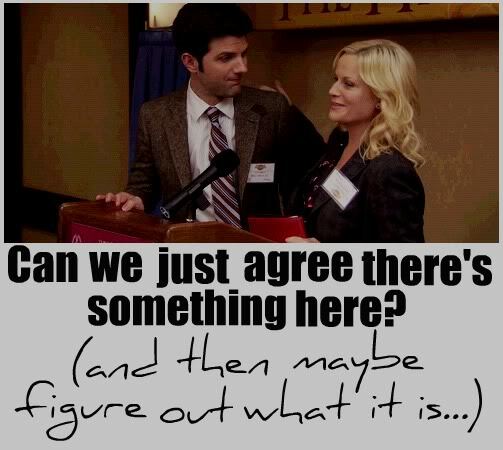 Later on in the series, Ben and Leslie made their relationship official, in another spur of the moment ceremony, this time in the Parks and Rec Office with the help of all their friends. As a huge fan of the show growing up, it broke my heart to see Kelly Kapowski finally tie the knot with Zack Morris. Why not me, I constantly asked the TV? Receiving no reply, I eventually made peace with their relationship (after years of intense psychotherapy, of course). We always wanted to see Zack and Kelly get together, even during the season where Kelly disappeared and was replaced by biker chick Tori. Some things are just meant to be! While they were able to slip away to privately tie the knot on the Maid of the Mist boat near Niagara Falls – a ceremony that Michael Scott couldn’t ruin – both of their weddings were beautifully done. Based on the British version of The Office, you always knew that Jim and Pam would eventually fall in love… it just took three seasons and a few other twists and turns before all viewers could let out a sigh of relief and happiness. 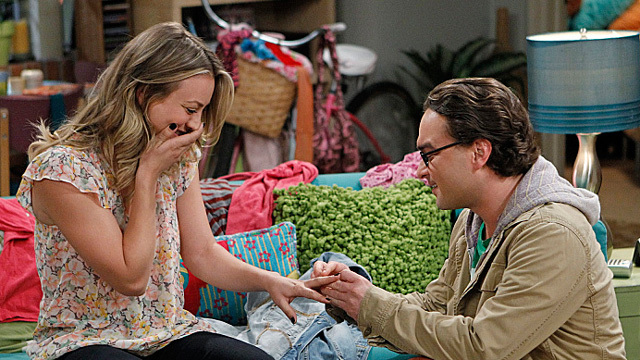 The first Big Bang Theory wedding – if you don’t think we’ll eventually see Leonard and Penny wed or even Sheldon and Amy, you’re out of your mind – went to Howard and Bernadette. 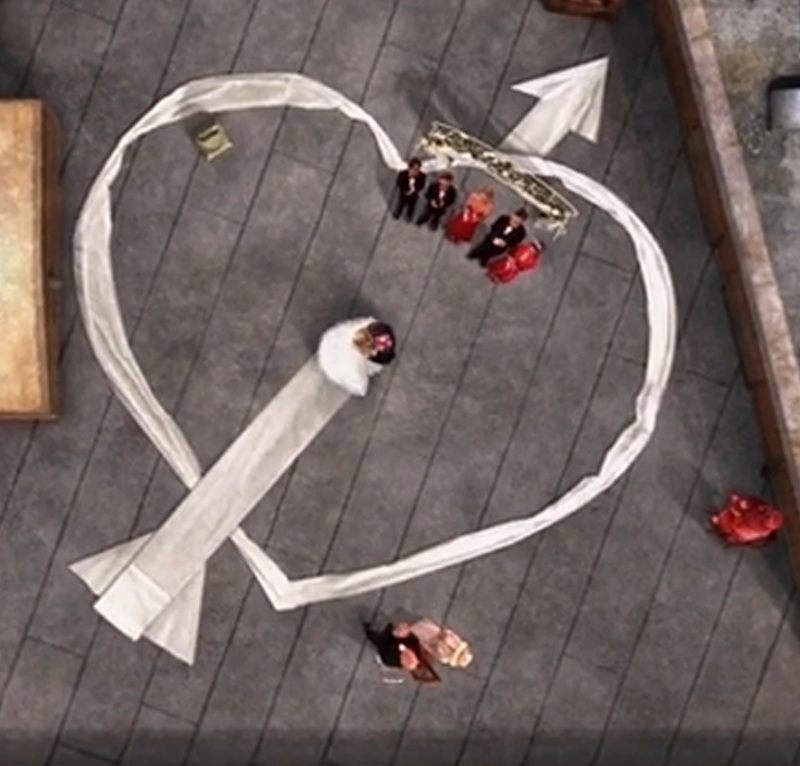 The most touching moment of the entire episode was when the camera zoomed out to space (the couple wanted their nuptials to be captured by the Google Earth satellite) to show that the group had decorated the rooftop to look like a heart with an arrow through it from high above. Niles lusted for Daphne for years on the show, but the two never seemed to be in the right situation to come together. First, Niles was married to the ice queen (and never seen) Maris. Then, as his marriage crumbled, Daphne was dating and later engaged to Donny, prompting Niles to move on and marry Mel. Things came to a head when Niles and Daphne ran away together just as Daphne was to be married. That’s some tale to tell the grandkids one day. This wedding turned into quite the train wreck when Ross slipped up and said Rachel’s name during his vow exchange with bride-to-be Emily. Although they finished the ceremony, Ross and Emily split up soon afterwards, even though Ross and Rachel didn’t get back together immediately either. Sure there were other, more successful nuptials during the run of Friends, but this one may have been the most memorable. In one of the series’ many flashback episodes, we become privy to the shotgun wedding of Homer and Marge. With Homer lacking a good job and not much money saved up, the couple had to do a quickie wedding at a small chapel and spent their first night as man and wife at Marge’s mother’s house. The series has enjoyed such longevity, that we’ve even witnessed multiple weddings for Homer and Marge, as well as the odd divorce mixed in there for good luck! If anyone else out in Sip Nation remembers Jesse and The Rippers big hit “Forever”, then your childhood was amazing. I’m willing to bet all you little sippers think I’ve lost my marbles again. Pretty hard to do that when I never had much of a collection (lost many a cat’s eye playing with the wicked Marbleworks set I had as a kid). Uncle Jesse finally settled down and quit his wild ways when he met and fell for Rebecca, Danny Tanner’s Wake Up San Francisco co-host. Jesse even had to jump out of a plane to make his ceremony on time… Oh, TGIF! Certainly I’ve missed some great TV weddings. It seems nearly every single show to last a couple of seasons has featured a ceremony. Did I neglect your favourite nuptials? Give me hell for that egregious error! I tried two different recipes for this shot. 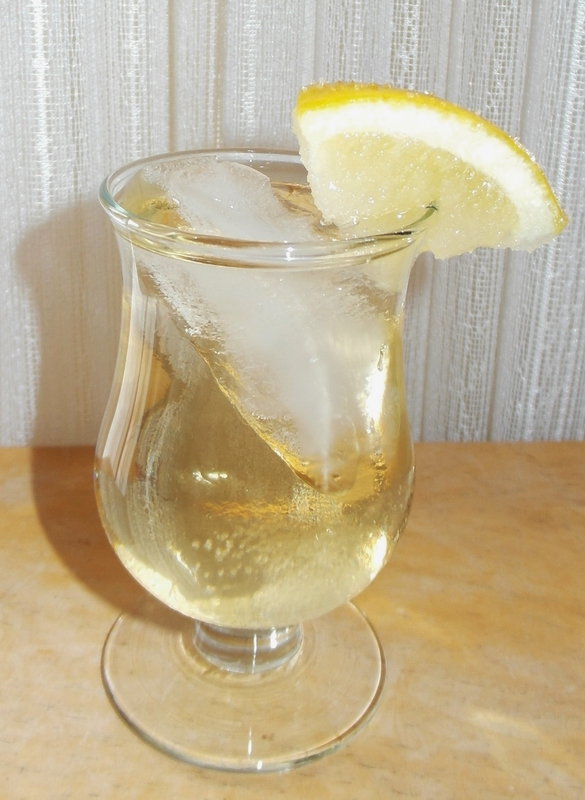 My second version consisted of Cupcake Vodka, Citrus Vodka, Limoncello, and Amaretto. In the end, I decided to present to you the more traditional recipe, rather than my own original idea. 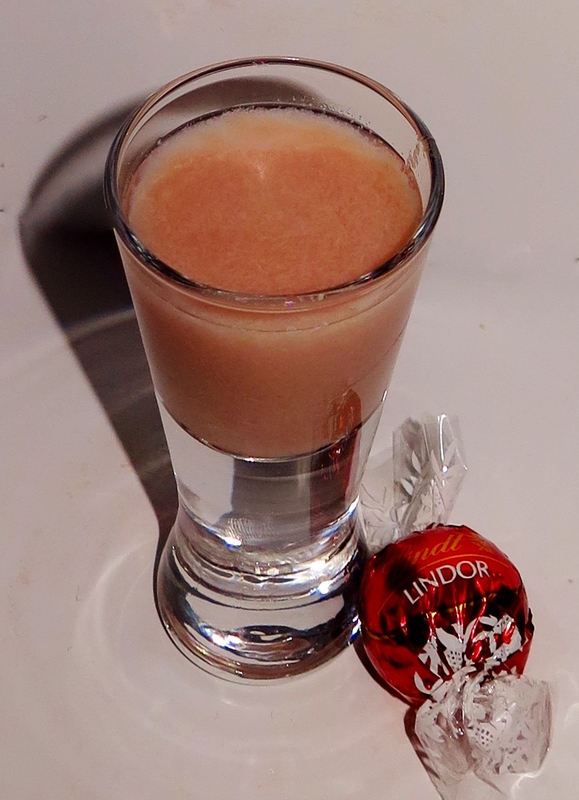 Either way, there ended up being quite a bit of liquor in each shot, so it turned into more of a sipper than a shooter and I’m not too sure whether I’m a fan of the Cupcake Vodka or not. Which recipe would you have preferred?